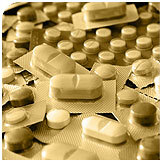 Qutenza is a treatment for post-herpetic neuralgia or pain after the shingles. The shingles is also known as Herpes Zoster and is the same virus that causes the childhood chicken pox. You can also learn more about post-herpetic neuralgia here but this page is to emphasize treatment with Qutenza or the Capsaicin patch. In controlled studies, Qutenza gives meaningful pain relief in about 50% of the patients who used it. Patients were followed for only 12 weeks and the pain relief lasted at least 12 weeks in virtually all patients. The best thing about the Qutenza treatment is that for many patients, it is used as a single treatment in the physicians office for long term relief. The Qutenza treatment itself takes many steps and you can expect to be at the treatment center for about 3 hours. The Qutenza patch itself is applied for one hour but is preceeded by placement of an anesthetic cream for one hour. During placement of the patch, patients will experience severe pain. The pain can be treated, if needed, easily and promptly with cooling. In general, I avoid any treatment unless absolutely necessary. Given the presumed mechanism of action (opening all the capsiacin channels at once) I worry that treating the pain will block the effectiveness of the medication. The only times Qutenza cannot be used is if there are breaks in the skin or if an increase in blood pressure would be dangerous. Many patients, in response to increased pain, increase their blood pressure.